Wanted: Giant Slayers. By delivering exceptional managed IT Services across the public and private sectors we’re frequently winning business from the multi-£bn global IT outsourcing giants. If you’ve always fancied yourself as a giant slayer then we’d love to talk to you. Littlefish is a recognised and fast growing credible alternative to the ‘usual suspects’ in the IT Outsourcing (ITO) and Managed IT Service market. And our reputation for providing industry-leading services as well as exceptional IT Careers is growing fast too. In the past few years, we have more than quadrupled in size, dramatically increasing both our revenues and workforce, and we've got no intention of letting up. With an impressive customer base, a strong pipeline of new business, and a proven track-record of growth, we are interested in hearing from, and finding, the best talent, to join our award-winning business and to be part of our continued success as we continue to create new IT jobs. Our employees are our biggest asset and our biggest focus. Career progression for everyone is important to us. It’s crucial that our staff can flourish within Littlefish, so we encourage collaborative personal development, and have an ‘internal first’ policy when it comes to promotion for new roles. So, if you invest your time and effort in us, then we’ll invest in you too. Hopefully some of our current vacancies are suitable for your skills and experience. If not then don’t worry, our recruitment requirements are ever-changing, so just check back with us again in a few weeks. Or, if you prefer, send us a copy of your CV with a covering letter explaining why you would like to join Littlefish and what you would bring to our organisation, and we’ll let you know when suitable opportunities arise. When prospective employees or visitors experience our offices, they often comment on the “vibe” and “feel good factor” that they experience. We've worked hard to create our culture and work harder to maintain and enhance it, to ensure Littlefish is the place to be for your career journey! The Littlefish vibe is the result of our #peoplematter approach to employment and employees, and is testament to the organisational culture we promote. Our approach is simple, we put our people first, every time and without hesitation. At times, IT Services can be a high-pressure environment - which worthwhile IT roles aren’t these days? Our focus is to alleviate this by creating a supportive, inclusive and collaborative culture in a great working environment which, when combined, contributes hugely to the happiness, positivity and general well-being of our people. Our culture fosters a laid back and friendly, yet professional and capable approach. We offer attractive salary packages to ensure we get the best people! We provide breakout facilities within our office offering the latest in gaming technology, table tennis and lots of space where you can decamp to eat your lunch or just get away from your desk. We have a casual dress policy to make sure people are as comfortable as possible as they go about their daily tasks, and we provide year-round fruit and refreshments that are freely available to everyone. In addition to the year-round free fruit and refreshments, we have subsidised vending machines, Pizza Fridays, frequent social evenings, charity events, a mid-summer all-staff family BBQ and, of course, the obligatory Christmas party! We care strongly about the ongoing personal development of our people. In aid of this we have created the Littlefish Academy, a structured training and development program that rewards you as you progress. The Academy provides you with the power to increase your salary (outside of any annual pay awards) through technical accreditation, and a focus on continual quality improvement. Plus, all Littlefish employees have access to LinkedIn Learning, an online educational platform which provides access to over 10,000 expert-led courses to help you discover and develop business, technology-related and creative skills. We also run a variety of bonus schemes including an initiative that rewards those who go ‘above and beyond’ in their interactions with of our customers, with monthly prizes on offer for those who receive the most nominations. So, if you feel like you can make a tangible difference, both to Littlefish’s continued growth, and the success of some of the UK’s most recognisable brands and organisations, then please check out our vacancies and join us on the journey! Whatever your query or requirements, we’d love to hear from you. 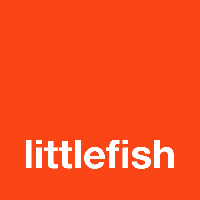 At Littlefish we take your privacy seriously and want to be transparent about how we will use your data. We will process your personal information to provide you with services and information you request from us and to deal with your enquiry. By completing this form and providing us with your information, we believe you’re expressing an interest in our services: therefore we’d like to contact you in the future with other information, and about other services we offer, that we believe will be relevant and of interest to you and your organisation in a legitimate capacity. Read our full Data Protection & Privacy Statement here. How can organisations use progressive phishing training to keep endpoints safe?